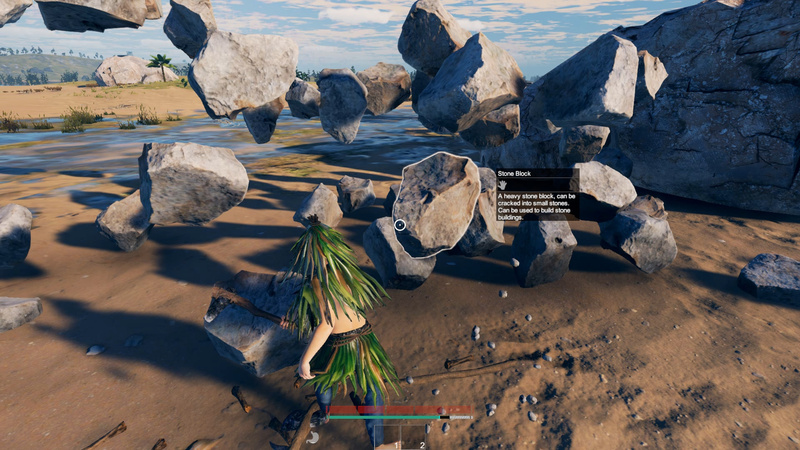 Survisland is a cool survival game in its presentation, where you will struggle with the most that neither is by different tests, rivals and surprises from the harsh nature. The developers tried to make their child as realistic as possible, which they succeeded in, because even the smallest object found by you will have certain physical and external characteristics. You will get into a real simulator of real life, where under your total control all aspects of activity fall. Every object that you can find will look externally, and also function as it did in the real world. 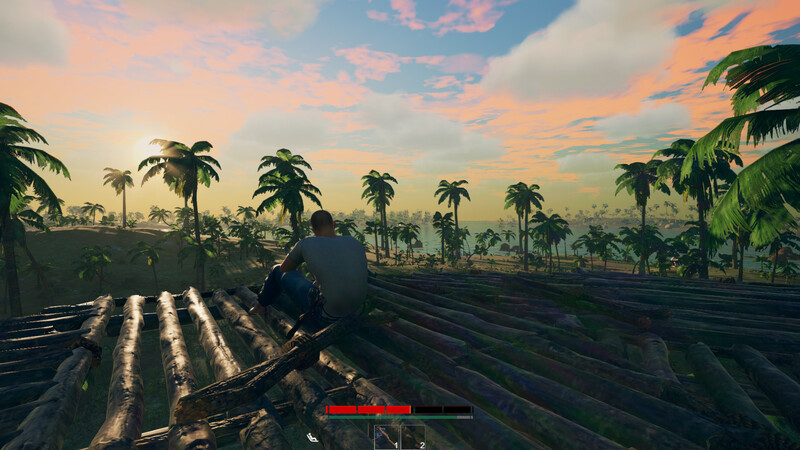 This game has been updated 2-03-2019, 08:17 to the latest version v0.6.1.2. 1. Character max walking slope is raised to 47 degree so he can always walk on 45 degree building surface. 2. Removed crafting technique Skip, now you don’t need to assign this annoying tech to each crafting node of your item. Instead there is a confirmation UI will pop up on the item you are crafting to let you know a recipe is legit to produce, you can hold key F to confirm the production. This function can also be closed in the option menu. 3. Support marks now can be built extruding out of a foundation. 4. The conditions of entering and exiting swimming are changed so you cannot swim in shallow water which caused player character floating above water. 5. When diving in shallow water, your body will not tilt downwards now. This used to cause funny actions with legs up in the air and head in sand. 6. Raised doorway height so you don’t have to crouch then jump into your house. 7. Lowered the height-from-ground for all foundations, so you probably don’t have to climb into your courtyard in most cases. 8. In option menu, the name of first tab is changed to General from Display. 9. Surface marks now cannot be deployed on a frame which has other items stand in the way, this used to cause the mattress stuck in a wall and the player have to walk into the wall to sleep. 1. Fixed the inventory UI extrude out of screen when the resolution is wider than 16:9 (like 21:9). 2. Wood handle used to be treated as a hat, now it rolls back to its own party( hang on a belt). 3. Wood spear now can be carried on back normally, it used to pierce through the player's body. 4. Great Hammer recipe repaired, it use to require a small stone Tie to a long stick's head, now it requires the Hammer Head Drilled from the small stone. 5. Craft nodes no longer flash red color over and over again after you tried to embed something in it but got rejected. 6. If you return to main menu while stayed in crafting mode, you'll be able to see the crafting nodes after entering the game again. Now it is fixed, safe to quit at any time you want. 7. Pick up action used to be able to be performed simultaneously with Taking Item from Belt action, and it caused multiple items overlap on one hand and some of them will be lost in the process. Now they cannot be triggered at the same time. 8. Sometimes picking up a large item can push the character into air, we were not able to recreate this issue but added a safe guard: before an item been picked up, we temporarily moved it into a layer that does not collider with the player until you drop it down. So now there should be no item can push the character into air when been picked. 1.Character will drop carried item when all stamina depleted when overloaded. 2.Redesigned the screen resolution detection methods to avoid some detecting issues. 12.Upgrading icons will only show up when you have the required items in hands. •Added a graphic option to open fire light shadows, only enable this with high-end graphic cards to enhance realism visually. •Added deflections when projectiles enter water, and a maximum depth each projectile item can reach under water before floating up. •Largely increased the time needed for roasted items get scorched by fire, and increased the temperature changing speed for items to further reduce heat linger effects. •Fixed the issue where damaged buildings cannot be repaired. •Fixed a null reference error when spearing some fishes, they now can be correctly turned into dead fishes. •Fixed the description and progress bar’s color for burnt items in fire, they used to show roasting on them when they are actually scorching. •Fixed a texture error for roasted and burnt rock fish, they used be shown as a fresh fish rather than a roasted or burnt one. •Fixed the sea surface cut off on bottom of the screen when look down to the sea on a high place. •Fixed a transformation system related issue that can cause rotten items’ remains teleport and stick on character’s hands. •Fixed: when dropping an item from attach point in inventory panel by pressing Q can cause the item floating in air. •Water containers no longer got cleared out when picking up due to our new “Holding-Bowl” form. You can now take water containers with you and put them elsewhere. 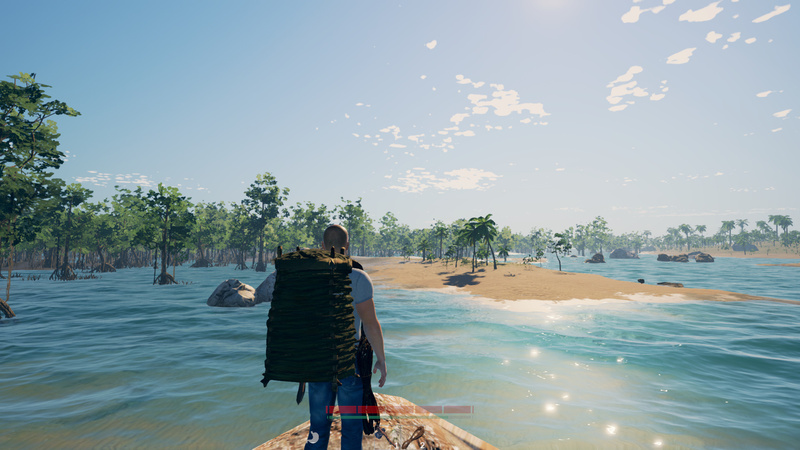 •We also added new animations, particle effects, sound effects and interact buttons on water containers for you to take water from one container to another or pour water out. •Now water containers that can be carried by a single hand can be drink from by pressing mouse buttons, just like eating other food or drink from coconuts. •Any water container that got lower than sea level will be filled with sea water, you cannot directly drink it but it can be processed into fresh water in future. •The stone hoe just got upgraded into next level! Now use the hoe to attack on ground can dig a bit of it down, and digging to adjacent areas of it can flatten the ground to the same level (though if the adjacent area is 1 meter higher, it will not be flattened). Making this function a great method to form a building base, also can be used as farm land in future. •In addition to the ground flatten function, the amount of dirt piles you can dig up is calculated by the depth of the terrain you’ve dug, so there can be multiple dirt piles generated from one spot on ground. Also, there is a small chance to find clay pieces by digging the ground, making non-mangrove-forest areas also can produce clay. •Added water splash effects for step in water and wade in water movements.